DPCI is proudly serving as a general sponsor for the Drupal Dev Day NYC (#D3NYC) Drupalcamp. DPCI's Founder, Joe Bachana, will serve as the chairperson for this conference. 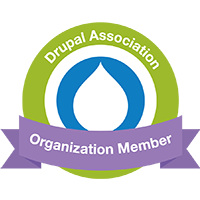 D3NYC will be a multipurpose event that includes Drupal training, unconference sessions, Drupal Ladder mentoring, and a Drupal 8 sprint. For more information about this event, please go to www.drupalcamp.nyc or register here.